Modern architecture building with bands of metal wrapping around building backlighted with red light. 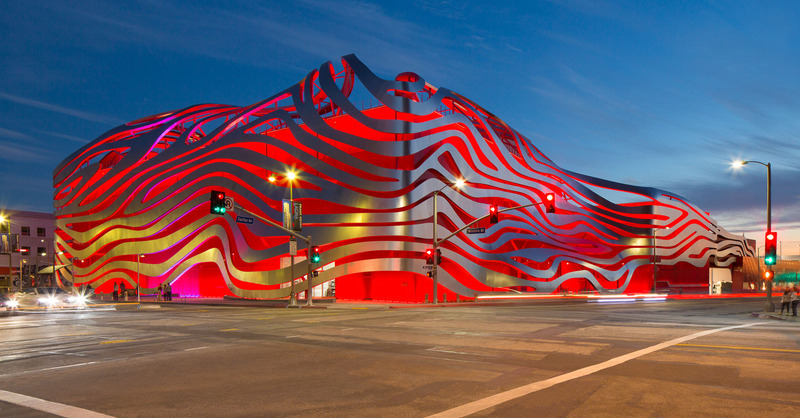 Petersen Automotive Museum in Los Angeles, California. David Zaitz Photography.